The location & the amenities give you the carefree lifestyle you seek. The upgraded great rm & 2 large bedrooms give you the comfort and space to live well. Mountain view balcony will give you tranquil enjoyment. Superior location in the community. New Refrig, W/D, & water heater in 2019.Newly carpeted in 2018, Upgraded granite and cabinetry. Complex was painted & re-roofed in 2017-2018. Basic cable, water, sewer are incl in the HOA fees. Walk to dining & shopping. Near McDowell Mtn park hiking & biking. Scottsdale finest shopping dining& sports. This won’t last long. Can be shown starting Sat. 4/13. Directions: From FLW go N. on TPP turn Rt. on 100th St, turn Rt into driveway just before Raintree. Turn Lt into Parking lot & park in uncovered parking facing Raintree. 2037 is on corner facing the mountains. Approximate size: 1114.00 sq. ft. Please, send me more information on this property: MLS# 5909369 – $265,000 – 15095 N Thompson Peak Parkway Unit 2037, Scottsdale, AZ 85260. 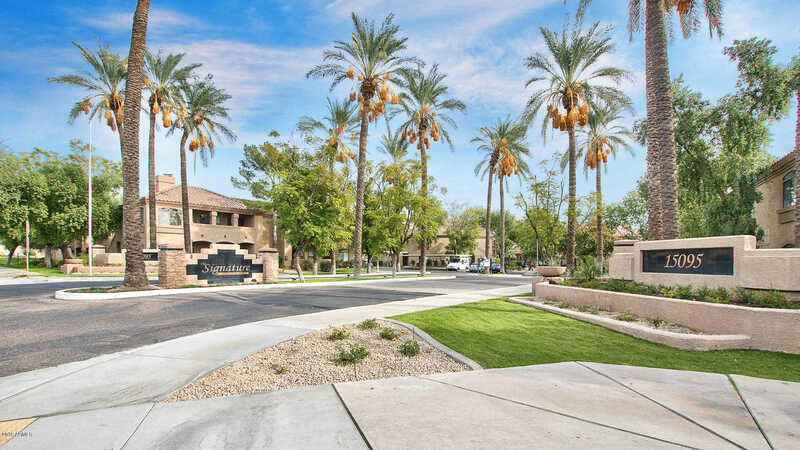 I would like to schedule a showing appointment for this property: MLS# 5909369 – $265,000 – 15095 N Thompson Peak Parkway Unit 2037, Scottsdale, AZ 85260. This content last updated on April 20, 2019 12:50. Some properties which appear for sale on this web site may subsequently have sold or may no longer be available.